We just have to meet Marcus Paul James’ mother after our latest interview with the Broadway and musical star – through his words, it’s very clear to us that this artist’s upbringing (which included a regular dose of classic R&B artists and church choir singing) has resulted in not only a really great vocalist, but a really good person as well. James, who has Broadway credits such as RENT to his name, utilizes that theater background in his soulful musical storytelling, and follows a consistent theme of love, in its many, many forms. The Brooklyn native is out to reclaim the national R&B scene, and his arsenal for this movement now includes a fresh EP titled, Paper Hearts. The collection, which includes James’ latest single, “Romancipation Day” is a feel-good series of tunes that’s got us in a feel-good mood – listen to Marcus’ description for a better flavor of the new sounds: “This EP is a fast journey through the fragility of Love. The tracks are not light handed; I tried to pour emotion into every inch from minute one. I didn’t sit down and write this EP as a whole piece. Rather all the songs were written individually and I looked up and said ‘oh look at that, I have a musical diary of a crazy man.’ So in true fashion of today, I said why not share it (laughing)? And to my eyes, it is a little collection of short stories around figuring out how to love and be loved.” Click to http://www.marcuspauljames.com/ to check out Paper Hearts and all of James’ other projects, including his Silver Towers Productions production company, as well as his work with the non-profit choir, the Broadway Inspirational Voices. Do all of this, of course, after a good read of all the answers to the XXQs below. PensEyeView.com (PEV): With experience on Broadway, how would you describe your current sound and what makes you stand out from others in your genre? Marcus Paul James (MPJ): Having a theater background bolsters my love of storytelling, and my sound by nature is soulful. Add in my experiences in this crazy world, and you get pretty unique music and style that are, by ingredients alone, already different from others. MPJ: My mom would play all R&B records during my childhood; Luther Vandross, Teddy P., Stevie Wonder, Gladys Night, etc…on top of being in Church singing, every Sunday. I feel like I was surrounded by music all the time. My first real concert might not have been till the 90’s…N’Sync. MPJ: Weirdly confusing. It felt like that there was a lot going on and everything was very important but no one really knew anything (laughing). And the songwriting side seemed much easier cause you could learn to write in the correct boxes and that made sense. The artist side seemed to be riddled with expectations before you even open your mouth. I have always hated that aspect of the business. I feel like I was spoiled at my first show. It was after a day of rehearsals and a Broadway show and I was exhausted!! But I was too excited to care. The room was full of family and friends and they laughed at every joke and screamed at every moment. PEV: What can fans expect from a live Marcus Paul James show? MPJ: My show is full and rockin’. I work hard beforehand so that I can just be there on stage ready to feel the vibe and take the journey together. The show will always have drama and levels. I make sure to surround myself with some of the most compassionate, giving, badass players I can find. People should come expecting to participate be it singalong, dance along, fall in love, even cry if you wanna. MPJ: Do I know the first words (laughing)? MPJ: Looking around and seeing everyone a part of the same moment enjoying themselves. It’s truly intoxicating. MPJ: LOVE. I am in this generation’s army – Warriors of Love. And it’s my duty to go to war for LOVE with music as my weapon. That calling inspires me to keep writing and keep finding new ways to express the things I see and feel. If even one person is touched or healed by it, that’s another coal in the fire that fuels me to keep going. MPJ: Sometimes, especially when I meet up or play with folks that were there in the beginning. You look at them and say “remember when…” (laughing). I love that it now seems to have been destined and less like luck. MPJ: Uh…maybe that I love cooking. As busy as I am, I cook almost every day. Even on tour in my hotel room. MPJ: I walk away from it and come back to it. Somethings you can’t muscle, it won’t turn out right. And sometimes I won’t record it, and see what I remember when I come back to it. What stays with me tends to be the most important parts and I pick up again. MPJ: All entertainment industries must reflect the people which they entertain. And as we as a nation change, so must all things. That has opened a lot of doors but has also made things super tricky. The world of R&B, in particular, has been selling itself so short that it no longer represents the people who created it. Thus calling for major reform and pushing multiple artists into a gray area without labels or even major record deals. BUT those artists are starting to succeed at a greater rate than the ones in the system, which begs the question: what’s really going on? Good music will always sell, but smart music will always sell better. I think now we are getting to a point where smart good music is what we really want. PEV: What can fans expect from your new Paper Hearts EP, featuring the single “Romancipation Day”? What was the writing process like for this work? 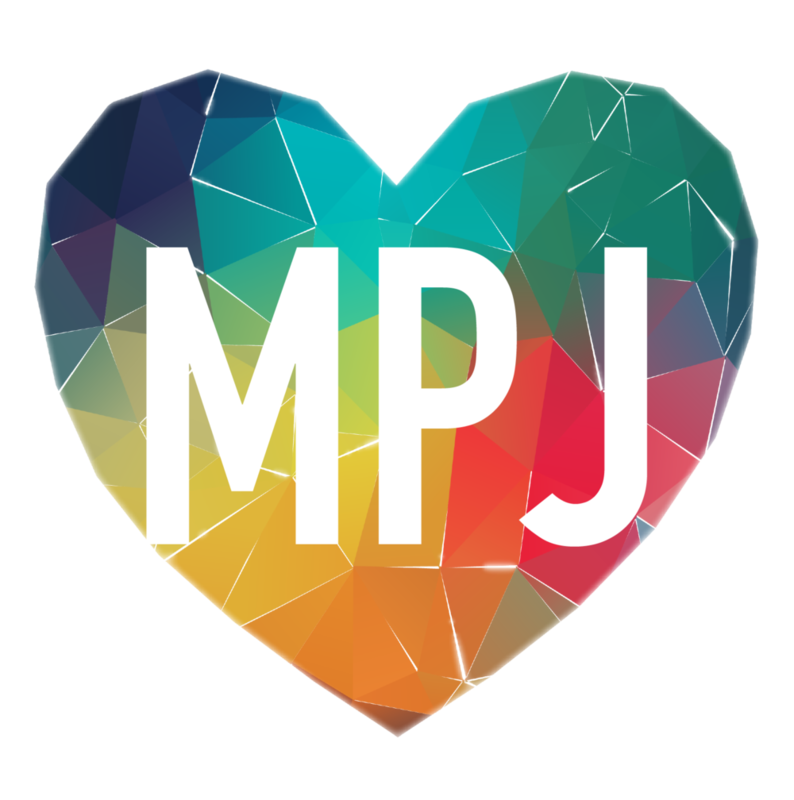 MPJ: This EP is a fast journey through the fragility of Love. The tracks are not light handed; I tried to pour emotion into every inch from minute one. I didn’t sit down and write this EP as a whole piece. Rather all the songs were written individually and I looked up and said “oh look at that, I have a musical diary of a crazy man.” So in true fashion of today, I said why not share it (laughing)? And to my eyes, it is a little collection of short stories around figuring out how to love and be loved. MPJ: Two places really. One is the west coast – I really don’t ever get enough time to play my stuff there. Also my mom lives in Vegas, and she has never seen an MPJ show live! Europe, I have actually never been to Europe. I have tunes on charts out there but never actually visited! MPJ: They love it and want me to do more. And I’m always like “well then help me pay for some if it then” (laughing). MPJ: In my spare time, I co-own a productions company – Silver Towers Productions, as well as direct the media for a Non-profit choir – the Broadway Inspirational Voices. I also lead an awesome wedding band called Broadway Project Band run by The Band Method. Actually, I’m not sure I have spare time… (laughing). MPJ: I would love to work with Chance the Rapper; I love his platform and his groundedness as an artist. Only good can come out of that environment so that’s the type of people I would love to surround myself with. I would have loved to work with Luther Vandross, because he was the last of the big balladeers of color that could sell out Madison Square Garden. His concerts were smart and fun which is so rare these days. MPJ: YES, she is basically my sister, the incredible Crystal Monee Hall. MPJ: I would have been an accountant or a party planner. I like putting things together and making sense out of them. PEV: So, what is next for Marcus Paul James? MPJ: More music!!! Looking forward to some holiday music I plan to put out later this year for some Christmas Love. Maybe before that a new single at the end of summer. I feel like I have a lot to share and I am not afraid to share it (laughing). For more information, click to http://www.marcuspauljames.com/.